Fall is the perfect time of year to get creative in the kitchen! The crisp air brings a sense of calmness, and inspires us to spend time at home creating delicious treats to kick off the holiday season. 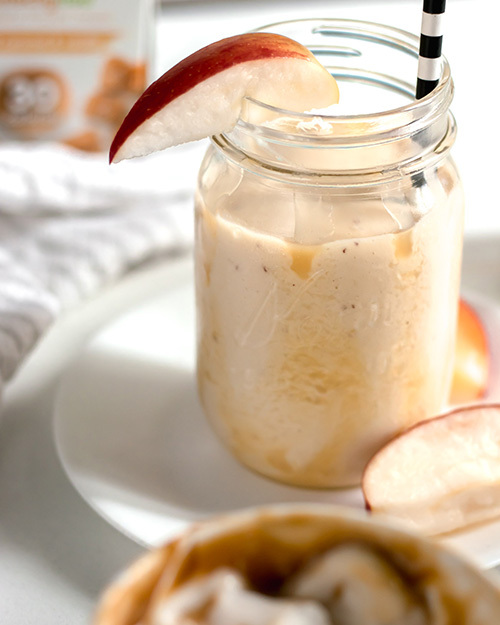 Between caramel apples, and pumpkin spice everything… what’s not to love? 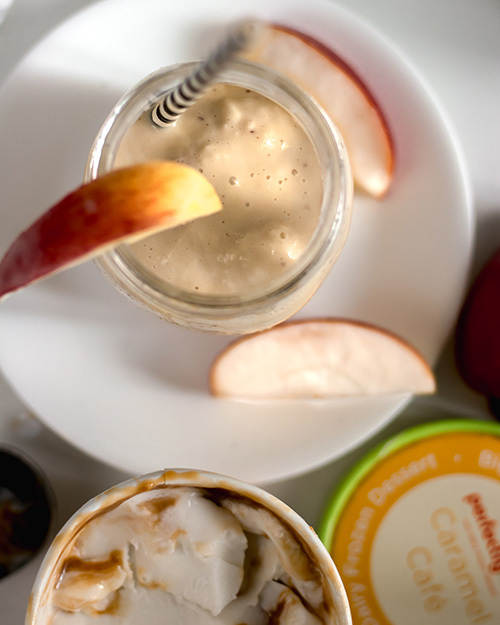 There’s nothing better than a sweet and delicious caramel apple, but it’s so tricky to eat. 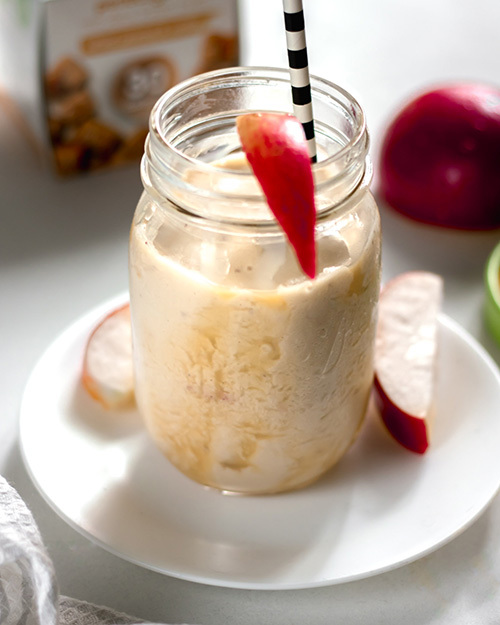 Good news is, we’ve come up with the perfect solution: a Caramel Apple Smoothie! Classic caramel apples can be messy, and often times aren’t conducive for food allergies, or other dietary restrictions. We’ve eliminated these worries with this creamy, non-dairy alternative using our coconut based ice cream! If you’re looking for a low calorie and low sugar option, it pairs perfectly with salted caramel non-dairy frozen bites. It also pairs wonderfully with our caramel cafe non-dairy frozen pint if you’re looking to mix it up with some coffee flavor! Both options are certified vegan, non-gmo and big 8 allergen friendly. Pair all of the ingredients together, blend, and enjoy!